The 2017 Chevrolet Camaro LT Sports Cars for Sale in Naperville, IL feature a potent 2.0L turbocharged 4-cylinder engine capable of 275 hp and 295 lb.-ft. of peak torque, as well as an 8-speed automatic transmission, 4-wheel ABS, SiriusXM satellite radio, 6-speaker standard audio, and more. Explore the dynamic engineering that has Edmunds declaring that this Camaro offers “truly impressive, world-beating handling capabilities,” then read on to see why when you want a great deal on a new Chevy, you need to come to Chevrolet of Naperville first. 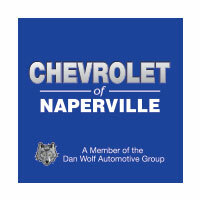 When you come to Chevrolet of Naperville, you not only have access to our large inventory of 2017 Chevrolet Camaro LT sports cars for sale in Naperville, IL, but you also get to work with some of the best people and use some of the most convenient tools in the business. Browse our inventory to find the vehicle you want and explore the rebates and incentives available to make your purchase affordable. If you have a vehicle to trade in, you can check the value, calculate your new payment, and even apply for financing before you commit to buy. If your car needs service or repair, we can help with that too. Schedule your service appointment or order the parts you need to do the job yourself and leave the hassle behind. Contact us today to learn more or to schedule your new vehicle test drive and see what a difference our friendly people make.